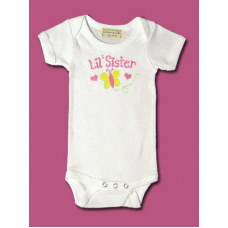 This beary special cuddly onesie will make your little one giggle!Our onesies are cozy &a.. 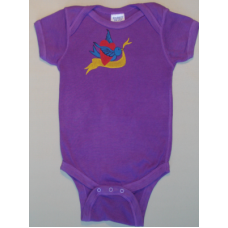 This blue bird is the messenger of world peace. 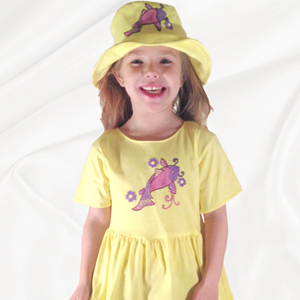 Spread the word with your..
Hey diddle-diddle, the cat and the fiddle, and the cow jumped over the moon!This adora.. 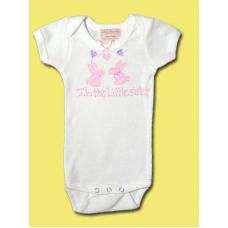 Your little one is cute as a bunny.The pink bunny and butterfly are bouncing through the air!.. 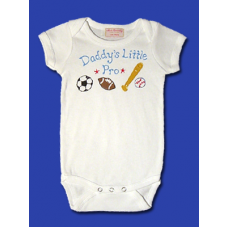 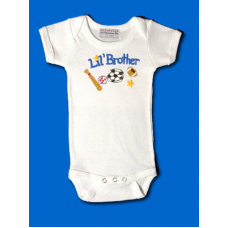 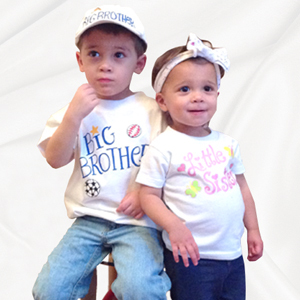 How cute is this onesie to go with the Big Brother T-Shirt?A great gift idea that is sure to make a ..
How cute is this onesie to go with the Big Sister T-Shirt? 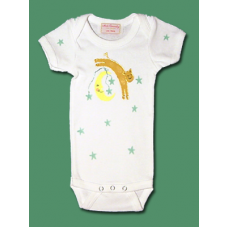 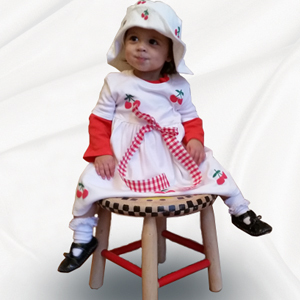 A..
How adorable will your little bunny sister look wearing this out with the big sister t-shirt!Our one..
Once upon a time our little prince arrived in this heraldic crown and ribbon onesie. 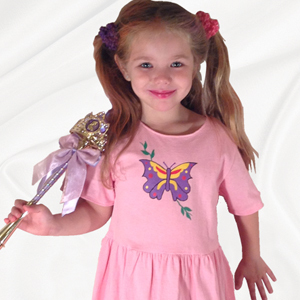 ..
Every little princess needs a gold heraldic crown and pink ribbon oneise to wear. 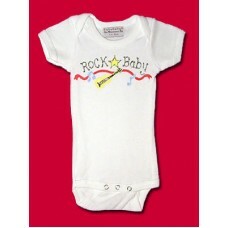 ..
Moms with a modern sense of style will love this one!The onesie features a bold tattoo with a messag..